Recognized by it's iconic "wheel" logo, there are 33,000 Rotary clubs in more than 200 countries and geographical areas. Clubs are nonpolitical, nonreligious, and open to all cultures, races, and creeds. As signified by the motto "Service Above Self," Rotary's main objective is service - in the community, in the workplace, and throughout the world. 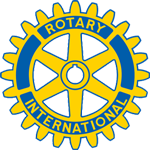 Learn more about Rotary International and join Lewisville Noon Rotary in serving our community! Contact us for more information.